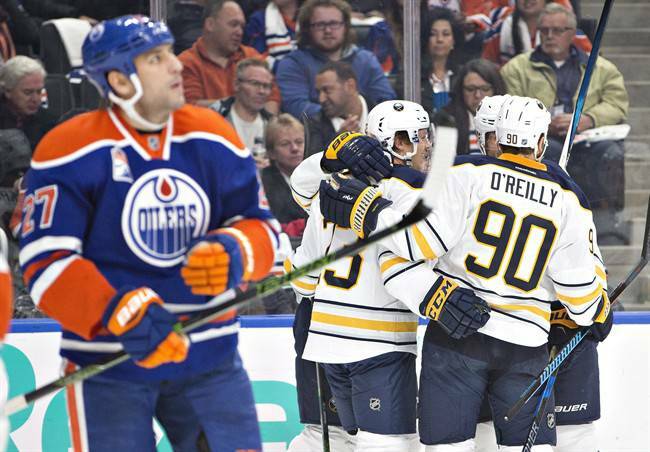 The Buffalo Sabres' got there first win of the season Sunday night, with a 6-2 rout of the Edmonton Oilers in Rogers Place. Ryan O'Reilly led the way with two goals and two assists for Buffalo, producing the first four-point game of his career. Captain Brian Gionta had two goals while Kyle Okposo had a goal and an assist in his Sabres debut and Rasmus Ristolainen chipped in three assists.